The Jacksonville Jaguars are long removed from their more glorious years; making only two playoff appearances in the last 15 seasons. They have won only nine games in the past three seasons combined, which is good for last place among all NFL teams during that span. After coming off one of their worst seasons in franchise history, the Jaguars could become a major contender in the AFC south, pending some key moves. The Jaguars own the #3 spot in the upcoming NFL draft, and it would be advantageous of them to grab an elite defensive lineman; specifically a pass rusher. The Jaguars defense ranked #26 in total yards, surrendering over 370 yards a game. In addition, their defense also ranked #26 and #27 in total points and rushing yards surrendered, respectively. Adding a premiere defensive lineman would fill that void of a much needed pass rusher. Expect them to scoop of USC’s Leonard Williams or Florida’s Dante Fowler. Another key ingredient to a successful season of the Jaguars in the development of Blake Bortles. After a promising preseason, Bortles struggled through the regular season. They ranked 29th in passing yards last year, with no receiver accumulating more than 700 yards. The lack of passing production could be attributed to the absence of play maker Justin Blackmon, who is currently serving an indefinite suspension. Pending the return of Blackmon, the evolution of the electrifying Marquise Lee, the progression of Allen Hurns, and the newly acquired Pro Bowl tight end Julius Thomas. Bortles will soon be provided with many weapons. The acquisition of offensive coordinator Greg Olson should also be a boost in Bortles’s production. The Jaguars have also been busy during free agency, signing some key players. The biggest sign was the aforementioned Thomas. In addition to Thomas, they signed some key players on the defensive side of the ball. Looking to add more power to the defensive line, they signed versatile defensive end Jared Odrick. Also to strengthen their secondary, they added strong safety Sergio Brown. Both players should have an immediate impact on defense. 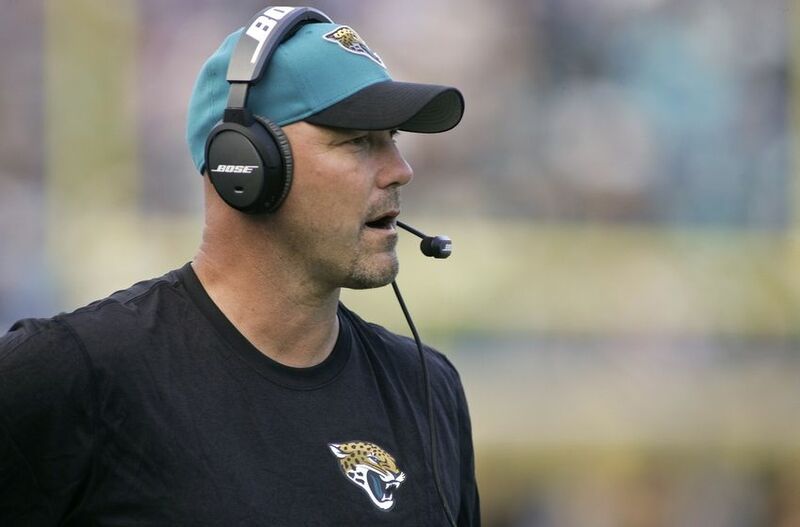 Ultimately, the Jaguars have the talent and coaching in order to make a serious run in the AFC South this year. Not to mention they have the discipline as well; they were the least penalized team in the NFL last year. It’s just a matter of molding this group of athletes into winners. Things could turn around real quick in Jacksonville.